No Guts, No Glory. | So What? I run. I haven’t blogged in over a week. After the HAT Run, I visited old friends in Savannah, Georgia and ate myself silly. Would you expect any less from me? I tell you, if you want great food…head South. I gained 4 lbs…FOUR GLORIOUS POUNDS! 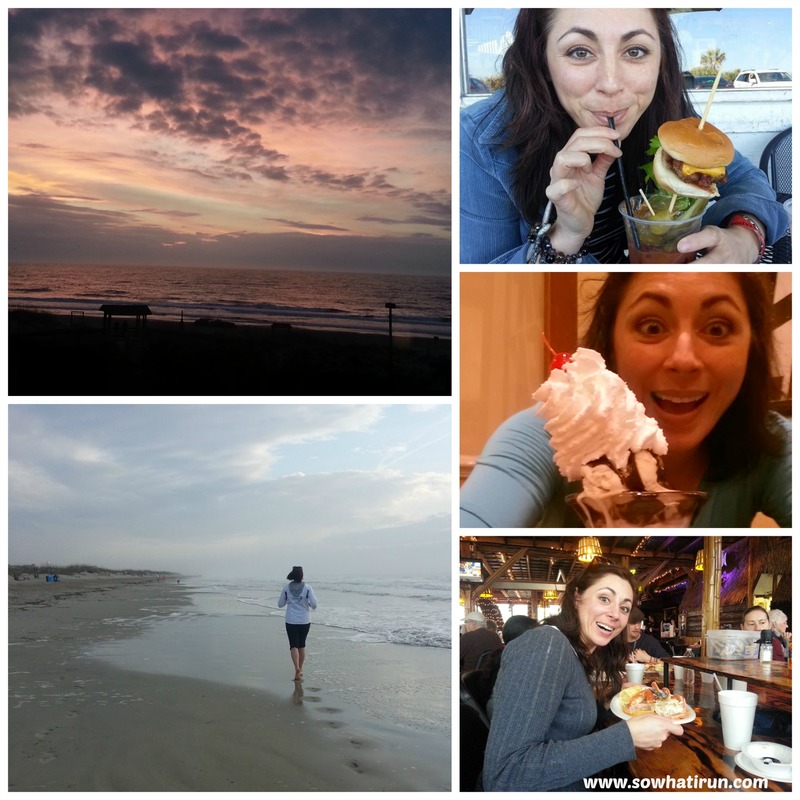 Here are just a few snapshots from vaca. My recovery from HAT was a mess. I didn’t do everything that I should’ve done to recover out of pure laziness. Stupid move and I know better. I didn’t have any recovery runs and I didn’t exactly eat clean to help my body repair itself. Also, I believe my toenails are going to be the casualties of the 50K. I have come close to losing toenails before, but they’ve always managed to hang in there. Not this time. While I was a way, I realized that the reason my big toe was in so much pain was that there was a blister between the toenail and the toe meat (I’m sure that’s the scientific term). I had to stick a needle between the nail and the meat to get it to drain. Sounds worse than it was, but within a day, the pain was gone. I was going to show you a collage of that hot mess, but I’ll spare you the images. Also, I’ve decided to sign up for a 50-miler. Specifically the North Face Endurance Run Gortex 50-Miler on June 7th. Yes, it’s 10 weeks away. No guts, no glory, right?! I don’t know what possessed me to click on that register button, but I felt physically sick after I did it. But, there’s no turning back. I’m committed. Yesterday was my first run since the 50K. I ran 20 miles on the road…a very hilly road, for 4.5 hours. I had found a 16-week training schedule online and decided to start with week 10. A friend, who has just recently finished her 100-miler, reached out to me and asked to look at my schedule. After she reviewed it she told me to scrap it. What I should’ve done yesterday was 8 miles. Ooops! I haven’t given my body enough time to recover. I’m new to this ultra thing and I’m still learning the do’s and don’ts. What I did was a big ol’ don’t. Oh well, at least Kendra and I looked good while we put our bodies through the grind. Today I was heading out for a 3 hour run on the trails and she stopped me 20 minutes before I walked out the door and pretty much said, hold your horses kid…you’re doing it all wrong. Thank goodness she caught me when she did. I ended up doing an hour and 27 minutes on the trail and frankly, there was no way I could’ve taken another step. If I had continued with the original 3 hour plan, I would’ve been crushed mentally because my body would’ve have probably failed me. My friends…this is the probably the most challenging thing I have ever done and I’m scared shitless. Terrified. Absolutely Terrified. I still have the Delaware Marathon coming up and I’ll use that as a training run and I have a couple of half marathons sprinkled here and there too. When I sign up for something, I sign up knowing in my heart I will find a way to finish. This time, I can’t say I have that confidence. I don’t know why I do the things I do. Obsessed with overcoming challenges? Perhaps. Obsessed with pushing the limits? Yeah, I’m sure that’s part true too. Got a screw loose in the head…probably it. But, like they say…no guts, no glory. Maybe I’m just looking for a little glory. This entry was posted in North Face Endurance Gortex 50-Miler, Trail Running and tagged Gortex 50-miler, North Face Endurance Challenge, Trail Running, ultramarathon training by SoWhatIRun. Bookmark the permalink. 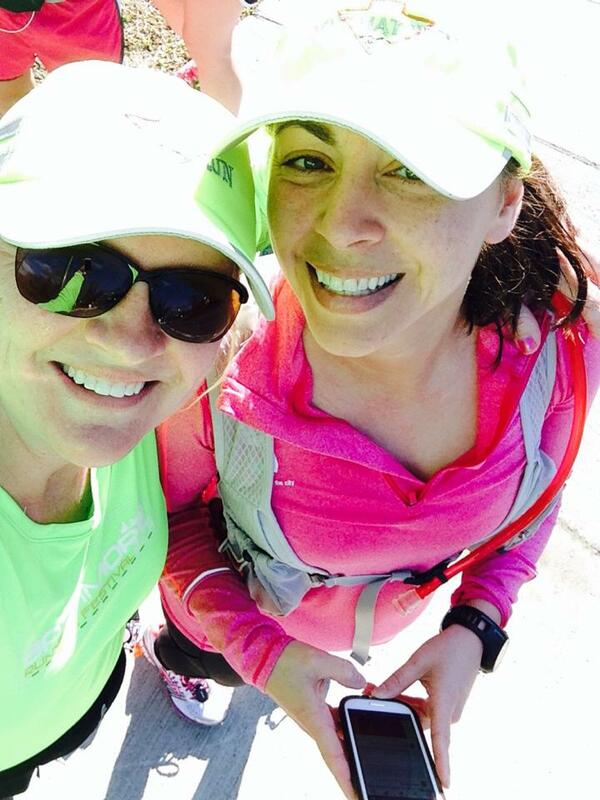 I think it’s amazing that you’re doing all these ultra runs- definitely daunting, but I bet you’ll be great! Thanks so much! Fingers crossed for a successful run! Ultras scare me 😉 but I sure love reading about them!!! They scare me too Piper!!! Lol! Holy crap, 50 miles!? Awesome! I go into races knowing some way or another I’ll finish, but my first triathlon this year is a batshit crazy reverse one that I’m starting to panic over thinking it might be beyond my abilities. Hang in there, you’ve totally got this! I can’t even wrap my head around attempting a triathlon. You’ve got more guts than me Courtney! Thank you so much Amber! You have been such great support for me. ❤ you back! I love that you’re going from a 50k to a 50 miler, it gives me hope that I won’t die during my 50k. Ha! Ange! You’ve got this! I wouldn’t be surprised if a 50 miler is in store for you after your 50K. Best wishes on a fabulous 50k! YEY! You are going to rock it!! i can’t wait to hear all about it!